(Traditional Irish Song) chords fit Sinead O’Connor’s version of this beautiful song. 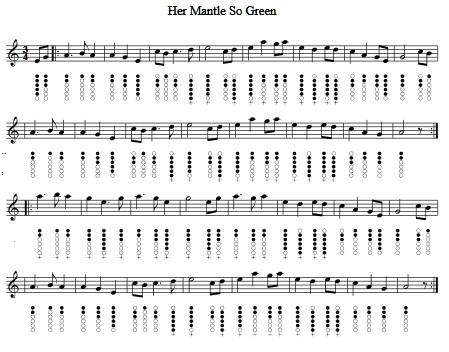 Also included are the tin whistle sheet music notes included. (G7)With - your (Am)costly fine (F)robes and your (Dm)mantle so (Am)green. (G7)For - the (Am)boy I love (F)dearly lies in (Dm)famed Water(Am)loo. (G7)His – (Am)name is em(F)broidered on my (Dm)mantle so (Am)green.